Mumbai: Shares of SpiceJet surged more than 17 percent in morning trade today after fair trade watchdog CCI approved original promoter Ajay Singh's plan to acquire controlling stake in the carrier. Under the revival plan, Singh would infuse Rs 1,500 crore into the carrier after acquiring over 58 per cent stake from outgoing promoters, Marans. The scrip, listed on the BSE, jumped 17.79 per cent to Rs 23.50. It had opened at Rs 22.80 and touched an intra-day high of Rs 23.50. At the current price, the carrier has a market valuation of more than Rs 1,400 crore. Shares of the company had closed at Rs 19.95 on Thursday. In a regulatory filing today, SpiceJet said Competition Commission of India (CCI) has approved Singh's proposal to acquire majority stake in the carrier. New Delhi - Budget passenger carrier SpiceJet Wednesday announced that it will operate new flights and increase frequencies in its new summer schedule effective from March 29. 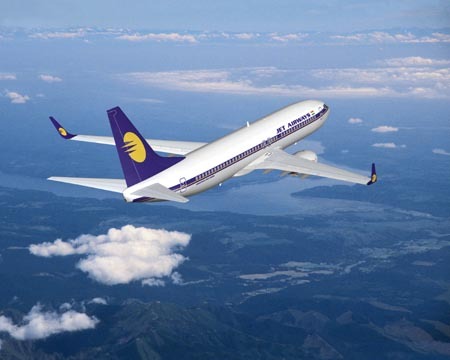 According to the airline, it will increase frequencies on routes such as Delhi and Amritsar, Bangalore and Mangalore, Mumbai and Jabalpur and Delhi and Jabalpur amongst others. On the international front, the airline said that it will introduce new daily flights to Dubai from Amritsar and Mangalore, taking its total service to Dubai to seven flights daily. New Delhi: Low cost carrier SpiceJet, which is going through an ownership change, plans to raise Rs 1,500 crore by way of issuing securities and allotting non-convertible preference shares to Marans, its promoters, who will be exiting the company. The Board of SpiceJet, in its meeting on Thursday, has approved the entire 58.46 percent stake sale of its promoter group, Marans, to Ajay Singh. The embattled airline, which received a lifeline from original promoter Singh earlier this month, would also issue up to 37.5 lakh non-convertible cumulative redeemable preference shares of Rs 1,000 apiece to Kalanithi Maran or Kal Airways or both on a preferential basis. New Delhi - Budget carrier SpiceJet today said the government has approved its "reconstruction and revival" plan submitted to the Civil Aviation Ministry on January 15. 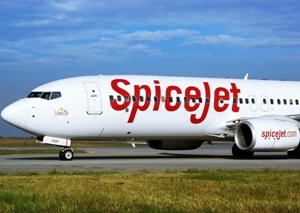 "The company has on January 22, 2015 received the approval of the competent authority, the Ministry of Civil Aviation, Government of India, for the 'scheme of reconstruction and revival for the takeover of ownership, management and control of SpiceJet Ltd' by Ajay Singh in accordance with the application made by the company," the airline said in a filing to the BSE today. Mumbai: Shares of SpiceJet Wednesday settled over 8 percent lower after Mumbai Airport asked the budget carrier to immediately pay the pending dues of Rs 5 crore and provide a bank guarantee of Rs 15 crore. After falling 8.69 percent to Rs 21 in intra-day trade at the BSE, shares of SpiceJet ended 8.26 percent lower at Rs 21.10. The company's market capitalisation fell by Rs 101.56 crore to Rs 1,129.44 crore. On the volume front, 120 lakh shares of the company changed hands at the BSE during the day. 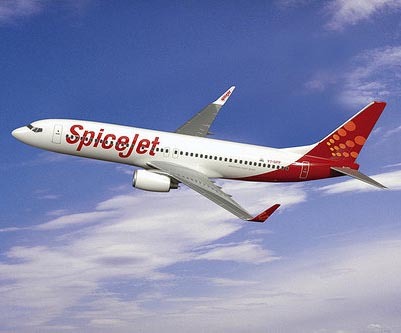 New Delhi - Beleaguered budget carrier SpiceJet would submit a revival plan to the government on Friday on the basis of a proposed investment of USD 200 million from founding promoter Ajay Singh and US-based JP Morgan Chase, as per sources. The potential investors are likely to buy stake from current promoter Kalanithi Maran by infusing USD 200 million within a month to help the airline stay afloat. Besides Singh, a fund managed by JP Morgan Chase would also be one of the investors, the sources said. New Delhi - Flight operations of cash-strapped SpiceJet were grounded today due to non-supply of jet fuel by oil marketing companies. "Not even a single flight has taken off till this morning due to fuel supply issue with the oil companies," sources told PTI. The state-run oil marketing firms have not yet taken a decision on the resumption of jet fuel supply to SpiceJet on a two-weeks credit facility, they said. When contacted, an airline spokesperson said operations were likely to be "normal" shortly. 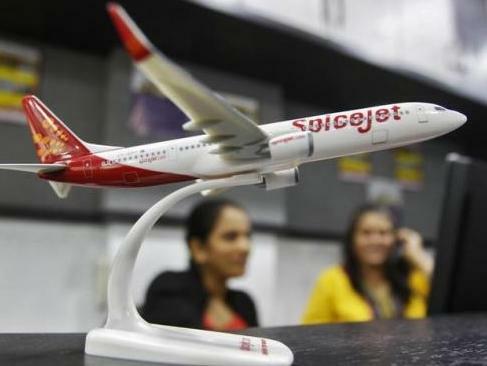 Mumbai - Continuing its plunge for the fourth straight session Tuesday, shares of SpiceJet tanked 17 percent even as the beleaguered company got a breather with indications that state-run Airports Authority of India would not press for immediate clearance of Rs 200 crore dues. Amid continued sluggish investor sentiment for the shares of the Kalanithi Maran-led company, SpiceJet plunged 16.97 percent to Rs 11.25 at the BSE. In four trading sessions, the stock has crashed over 25 percent, eroding Rs 216.63 crore from its market value. Marketmen said that the stock is witnessing a downtrend amid mounting troubles for the cash-strapped budget carrier. New Delhi, Dec. 9 - SpiceJet, owned by the Sun Group of India, has cancelled over 1,800 domestic flights across the country for the current month, after it reported a fifth straight quarter of net losses of 310 crore for July- September period. In an update on its website, SpiceJet said, it has cancelled a total of 1,861 flights, a few to Kathmandu in Nepal and all others connecting domestic cities, till December 31. New Delhi - Concerned over the deteriorating condition of SpiceJet and large-scale flight cancellations, aviation regulator DGCA Friday withdrew 186 of its slots and asked it to clear salary dues of all its employees in the next ten days. After reviewing the situation facing the no-frill carrier, DGCA chief Prabhat Kumar took a series of decisions, including asking the airline to file a "convincing schedule" by December 15 to clear its over Rs 1,500 crore dues to various vendors including airports and oil companies, official sources said. Mumbai - Shares of airline operators like SpiceJet and Jet Airways gained as much as six percent in morning trade Wednesday after prices of jet fuel (ATF) were cut by a steep three percent. Shares of SpiceJet surged 5.6 percent to Rs 13.01, while Kingfisher Airlines rose 4.87 percent to Rs 2.15 and Jet Airways (India) gained 4.73 percent to Rs 218 on the BSE. The price of aviation turbine fuel (ATF), or jet fuel, at Delhi was cut by Rs 2,077.62 per kilolitre, or 2.98 percent, to Rs 67,525.63 per kilolitre, the nation's largest fuel retailer Indian Oil Corp (IOC) had said yesterday. Mumbai : Budget carrier SpiceJet under its discount fares as low as Rs 499 has sold over one lakh tickets on Day 1 of the three-day offer. "The airline has been rolling out such special and heavily discounted fare offers almost every other day so far this year. But the way it has been lapped up by customers today indicates a record of sort," an airline source said. By 4 pm, tickets sale touched 1-lakh mark, the source said adding: "It expects to set a new sales record in terms of booking, in a single day." Mumbai: The country's second largest airline by market share, SpiceJet on Monday launched yet another limited period special fare scheme, 'Early Bird', offering customers ticket prices as low as Rs 499 on its domestic network. The bookings for this three-day offer commences from today with a travel validity period between January 16 and October 24 next year, SpiceJet said in a release here. SpiceJet offers discounted flying options to destinations across the country, with one way fares starting as low as Rs 499 (including fuel surcharge but excluding applicable statutory taxes and fees), the release said. Mumbai: Shares of low-cost carrier SpiceJet Monday climbed nearly 13 percent, in-line with a strong stock market, ignoring the disappointing June quarter earnings. SpiceJet's scrip zoomed 12.60 percent to settle at Rs 13.49 on the BSE. In intra-day, the stock surged 13.52 percent to Rs 13.60. On the volume front, 74.42 lakh shares of the company changed hands at the BSE during the day. SpiceJet had on Thursday reported a net loss of Rs 124.10 crore for the three months ended June, mainly bogged down by higher expenses. The no-frills carrier had a net profit of Rs 50.56 crore in the year-ago period. New Delhi: SpiceJet Thursday reported a net loss of Rs 124.10 crore for the three months ended June, mainly bogged down by higher expenses. In the first quarter of current fiscal, the airline saw its total income from operations slide to Rs 1,691.04 crore from Rs 1,701.54 crore recorded in the same period a year ago. Besides, the company's expenses climbed to Rs 1,782.95 crore in the latest June quarter. In the comparable period, the same stood at Rs 1,641.93 crore. Mumbai: Budget carrier SpiceJet Wednesday started its first international flight from Kolkata with a service to Nepal's capital Kathmandu via West Bengal's tourist hotspot Bagdogra. The airline had last month announced a promotional fare of Rs 99 for the Bagdogra-Kathmandu leg while Rs 4,289 for Kolkata-Kathmandu journey, the company said in a release. "We are extremely pleased with the response received for our Kathmandu-Bagdogra-Kolkata connection. 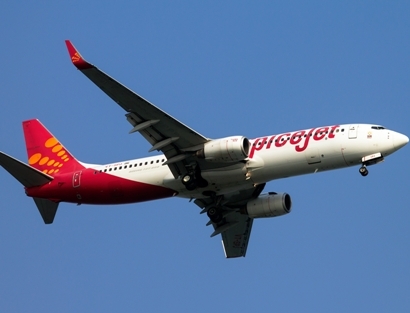 This direct service will provide our customers flying from either regions much more convenience in terms of connectivity and reach," Kaneswaran Avili, Chief Commercial Officer, SpiceJet said. New Delhi - The Civil Aviation ministry has begun working on a financial bailout package for the sector which is saddled by huge losses mounting up to Rs 49,000 crore, a highly placed source in the ministry has told Zee Media. The aviation ministry is exploring possibilities of offering loans at lower rates for working capital through the state-owned banks, the official has said. The ministry expects to form a comprehensive plan over the next month and subsequently seek the approval from the finance ministry. 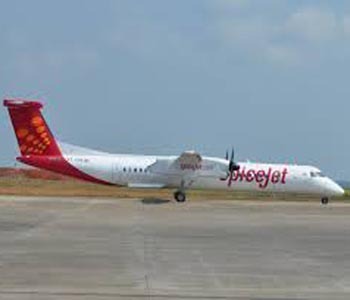 New Delhi: Chennai-based SpiceJet's General Manager for airport services Rahul Bhatkoti has quit the carrier, giving a jolt to the crisis-ridden carrier, sources said. "(Rahul) Bhatkoti quit the carrier some time back. However, the reason for his parting ways with the carrier are still not known," sources privy to the information told PTI. Bhatkoti had been handling SpiceJet's airport operations for North and East and had been with the carrier since 2005, they said. Before joining Kalanithi Maran's no-frills airline, he had served erstwhile Sahara Airlines and Damania Airways. Mumbai - Low-cost carrier SpiceJet Friday said it will launch a flight service from Kolkata to Kathmandu, connecting West Bengal's tourist hotspot Bagdogra, from next month. The airline has offered an introductory promotional fare of Rs 99, excluding taxes for Bagdogra-Kathmandu segment of the journey, for the new flight which is scheduled to commence operations from August 13, SpiceJet said in a release. The introductory promotional fare for Kolkata-Kathmandu journey, however, will be Rs 4,289, excluding taxes, it said.